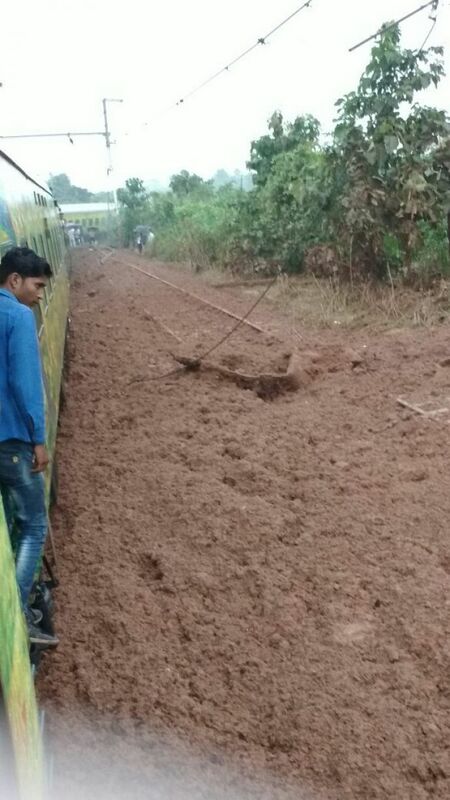 The tracks of the rail got affected due to the landslide followed by the heavy rain. 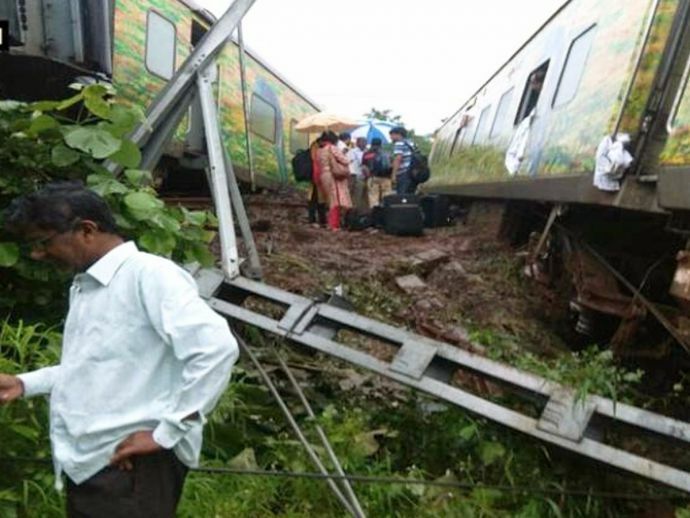 The Nagpur - bound Duronto Express was derailed near Asangaon today morning. So far there have been no casualties reported. The incident occurred at around 6:30 am and the reason of the derailment is considered to be a landslide. 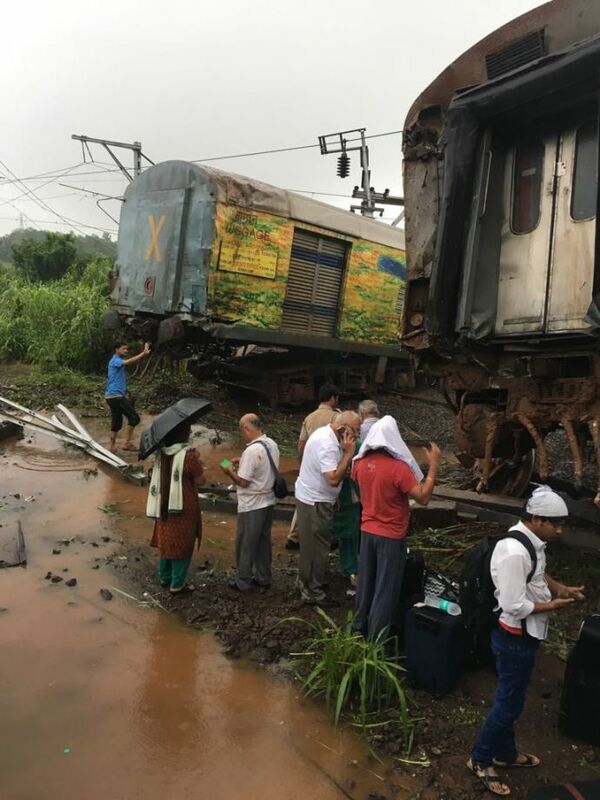 The morning peak time of local trains got hampered due to this catastrophe, however, the stretch of Chhatrapati Shivaji Maharaj Terminus and Kalyan remain unaffected. Six coaches and an engine is reported to be derailed but fortunately, according to the latest updates, no one is claimed to have been injured. 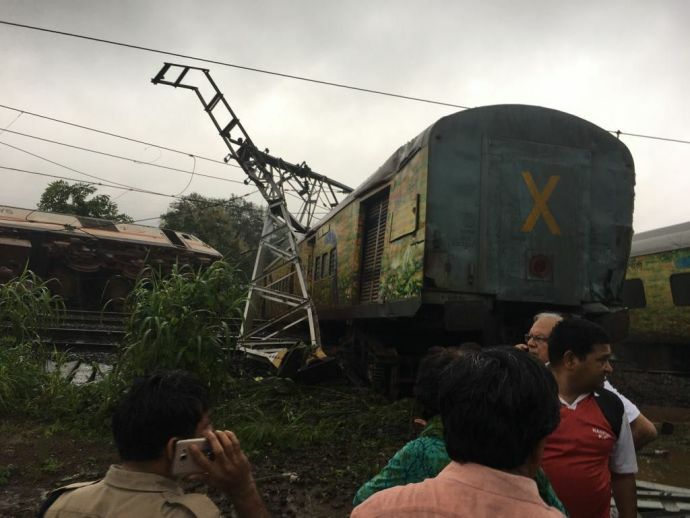 The accident happened around 6:30 to 6:40 in the morning; suddenly we all experienced a jolt that made us sure that probably the train has got derailed. A sense of fright was spread amongst all and no one could figure out what exactly happened so, the chaos led people to make phone calls. I saw babies crying and senior citizens getting worried; at that moment we all just wanted to get out of the train and when we got out we saw four coaches lying horizontally on the track and I was travelling on the fourth one. The engine was toppled and we could see the tires coming out. 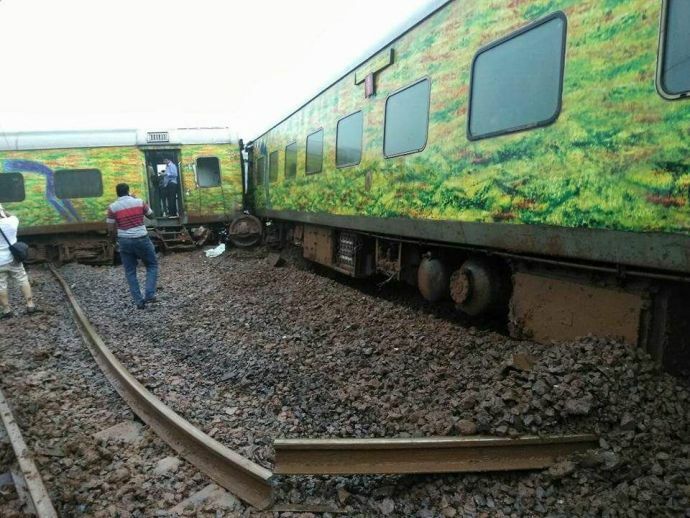 This entire incident occurred at around quarter to seven and since the area was located in an isolated place, the poor connectivity led the rescue train come after two hours of the incident. Thankfully the RPF persons were quick; they immediately made the phone calls to the authorized persons and approached us for help. People travelling in the AC coach actually got to experience the sudden jerk, while the others couldn’t really register what had exactly happened. The major reason of the derailment was the landslide that happened between Asangaon and Washim. We already had crossed Asangaon but then when this unfortunate event happened, my fellow passengers and I had to walk back to Asangaon from where we took Auto and went to our respective destinations.